– A cosmonaut from Kazakhstan will fly to the International Space Station this fall, filling the vacated seat earlier reserved for British soprano Sarah Brightman, Russian officials announced on Monday (June 22). Russia's federal space agency approved Aidyn Aimbetov's nomination to join Roscosmos cosmonaut Sergei Volkov and Danish astronaut Andreas Mogensen of the European Space Agency on the Soyuz TMA-18M spacecraft when it launches from the Baikonur Cosmodrome in Kazakhstan to the space station, currently scheduled for Sept. 1. Aimbetov and Mogensen are expected to spend 10 days on the orbiting outpost before returning to Earth aboard the earlier launched Soyuz TMA-16M together with the space station's first four-time commander Gennady Padalka, who has been on orbit since March. Volkov will remain onboard the station until March 2016, when he will land on Soyuz TMA-18M along with the station's first year-long residents, cosmonaut Mikhail Kornienko and NASA's Scott Kelly. 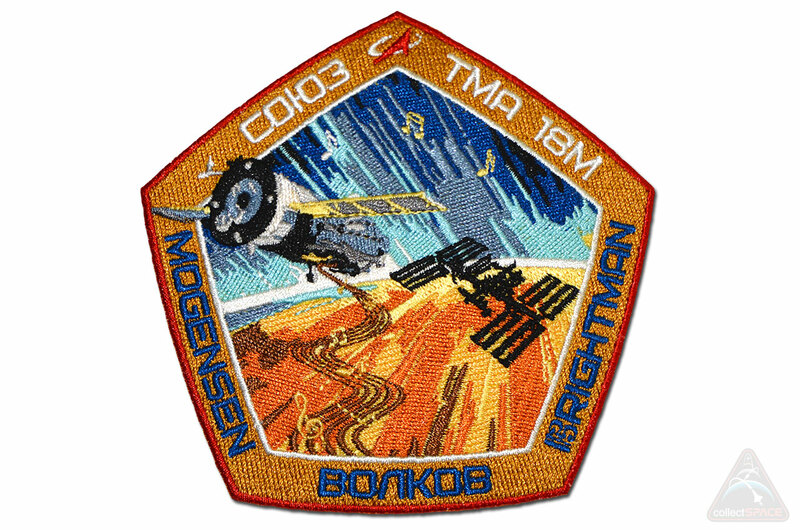 Brightman had been previously confirmed for the so-called TMA-18M "taxi flight," taking advantage of the open seat created by the yearlong expedition and the need to change out the Soyuz docked to the complex every six months. A self-funded spaceflight participant, or "space tourist," she was reportedly ready to pay $52 million to fly to the station to be the first professional recording artist to perform from space. 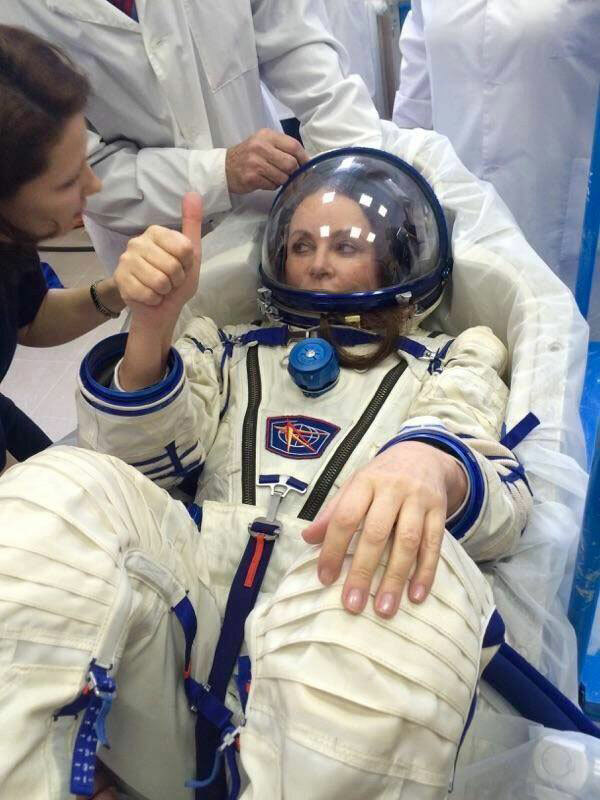 That changed in May, when Brightman revealed that she was "postponing her plans to launch ... for personal family reasons." Her announcement then led to speculation in the press as to who would to take her place. Brightman's backup, Satoshi Takamatsu, was among the short list of candidates rumored to be her replacement. On Monday though, the Japanese advertising director said he was instead waiting for a future flight opportunity, perhaps sometime in next two to fours years. "I have thoughtfully considered as to when I should realize my dream of spaceflight and have come to the conclusion that the art projects that I would like to perform in space require cutting-edge technology," Takamatsu explained in a statement released by Space Adventures, the U.S. firm that arranged his and Brightman's flight contracts. "I need to dedicate myself to these projects and prepare diligently for them." Takamatsu will not be continue to serve as a backup crew member. Roscosmos did not release who would serve that role for Aimbetov. 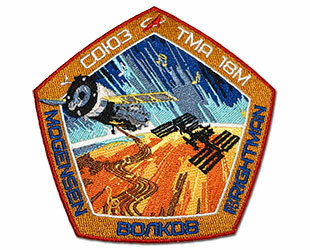 Aimbetov was chosen by Kazakhstan in 2002 for its first cosmonaut corps. The 42-year-old air force pilot spent six years training in Star City, Russia from 2003 to 2009, prior to returning home to await a possible flight assignment. 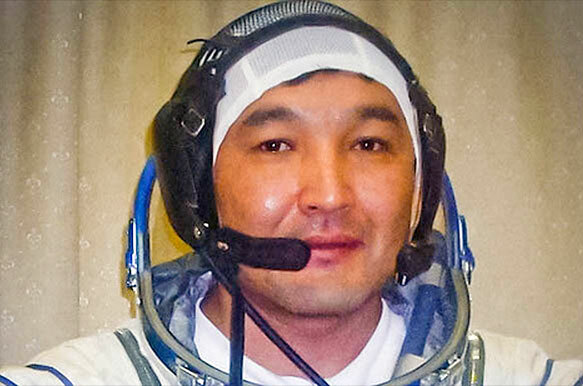 Aimbetov is the first to fly for Kazakhstan's national space agency, Kazcosmos, but not the first Kazakh in space. In 1969, Vladimir Shatatov became the first person born in Kazakstan to fly in space. Twenty two years later, Toktar Aubakirov became the first ethnic Kazakh to lift off to orbit in 1991. 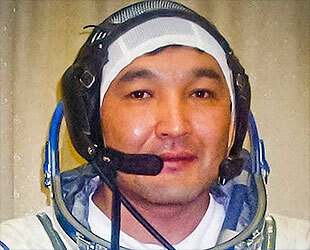 Cosmonaut Talgat Musabayev, who today heads Kazcosmos, flew the first of his three flights in 1994. "Spaceflight of a cosmonaut from a country outside of the [station's] coalition of 17 countries is possible," Aimbetov told a government interviewer in April, "provided someone will give us way."